My easy chair needed a little freshening up. I love the upholstery, but the tired wood finish was starting to bug me. So, I added a little embellishment to the arms. and gave the frame my "Old World Finish". I added a pillow to soften the appearance a bit, and compliment the lighter frame. 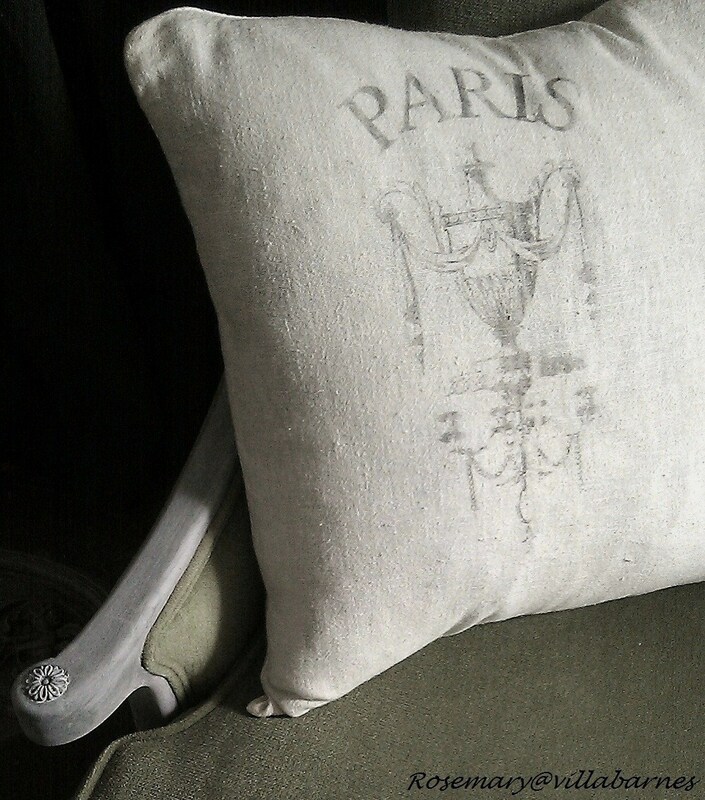 I transferred the lettering and image onto muslin to make this pillow. Yes, I used my "Splendid Blender" method. and the Paris theme continues. Now, I have to decide what I'm going to do with these recent finds. 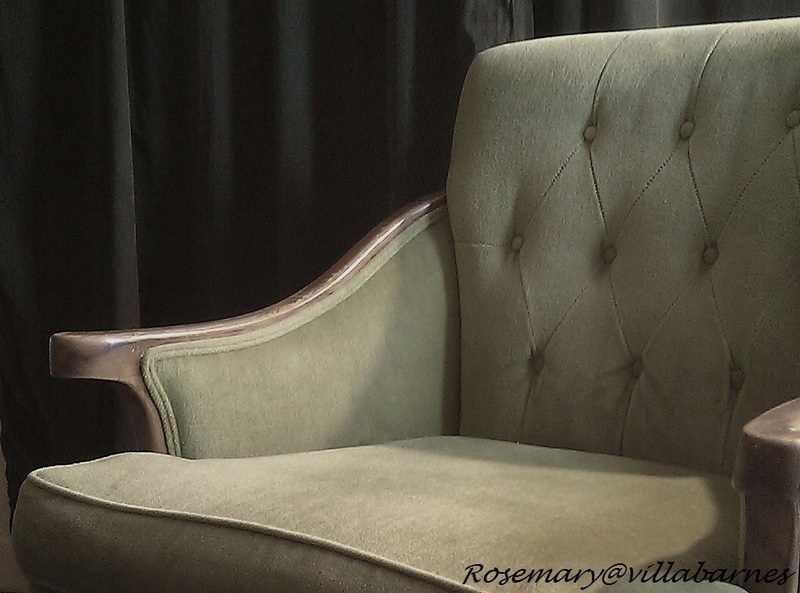 Rosemary the chair looks fabulous, I love the green fabric! I can't wait to see what you do with these new pieces. 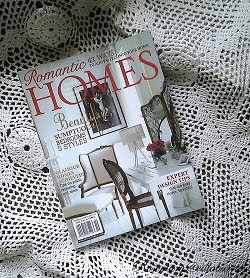 That chair looks very similar to the one in my living room that has the solid linen fabric on it. your chair looks amazing! 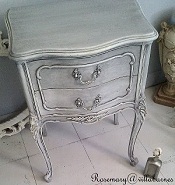 i love the gray toned finish with the green fabric! The chair turned out FAB! I love the little detail you put on the arms. I can't wait to see what you do with your recent finds! FUN! Your finish turned out nice on your chair. 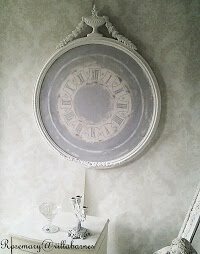 It coordinates with the other finishes in the room now. Looks like you're going to busy for quite a while on those other pieces. your newest chair looks amazing and I have pinned the other one you did too! I will have to try the Splendid Blender method of transfer. Do you love it? 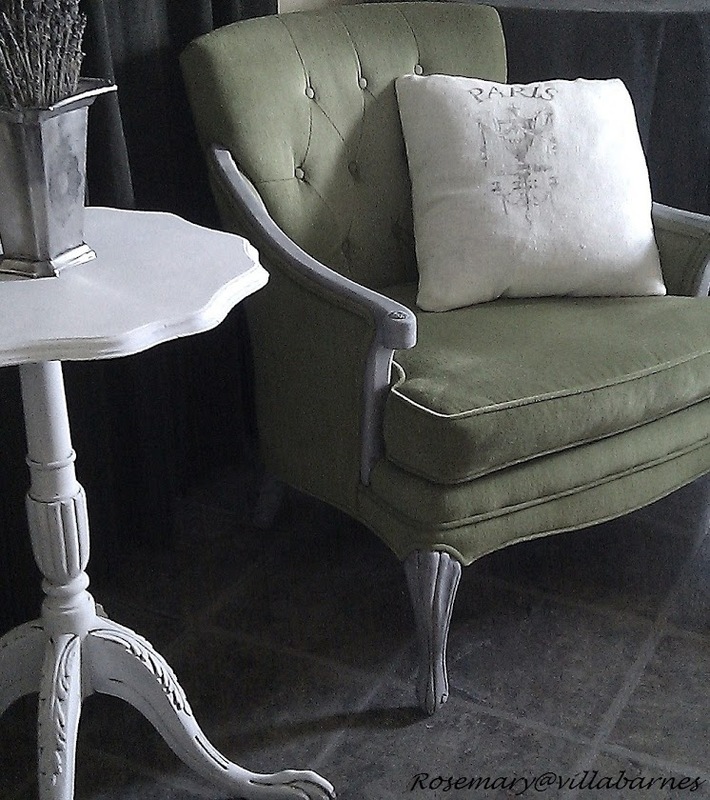 The chair looks so pretty and the new finish looks lovely with the green upholstery. 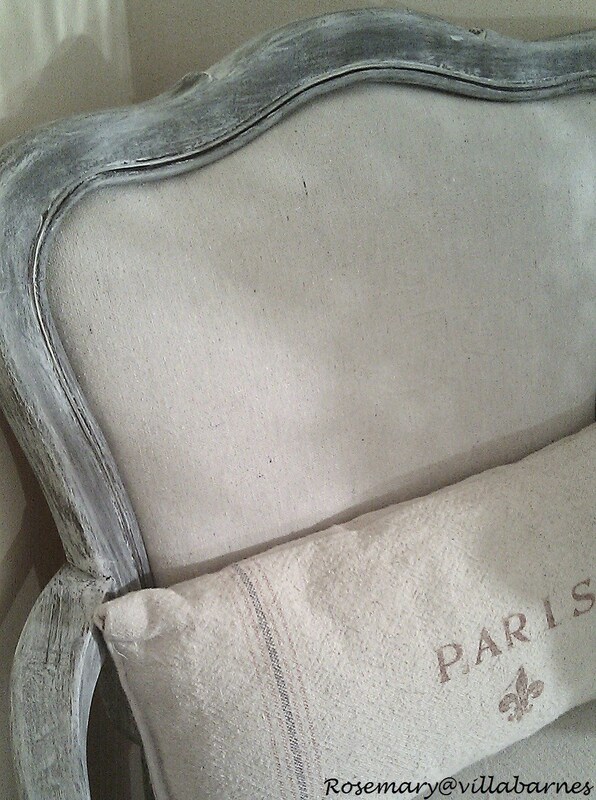 I love the cushion and Paris theme. You find such great stuff, Rosemary! I know that those pieces are going to look better than pictured! Such great potential. I can't wait to see them transformed! You made a great difference to your easy chair. It is so pretty. I love that first table you found!! Very clever and very beautiful! I love what you did to the chair. That chair needed your special touch and it looks wonderful now! I want that cool green chair...so pretty! Beautiful makeover on the chair! Oh yeah, I live the revamped chair. I also am drooling over your new pieces and you haven't even done your thing to them yet! Your magic touch again! I love it! Love this Paris theme you have going on. So pretty! 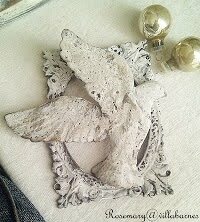 Thank you for sharing your lovely project at Potpourri Friday! The chair looks fabulous; I can't wait to see what you're going to do with your most recent finds. Have fun transforming! I see a lot of furniture done on different blogs but your's is always the best. It realy is. just amazing. you have the perfect touch with this type of paint technique. 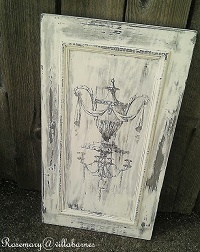 I would love for my headboard to look like this but I just dont think I have the skill for it. I'll just enjoy looking at your transformations..
Great chair! I can't wait to see what you do with the tables...especially, that second one! LOVE it! (As usual!) 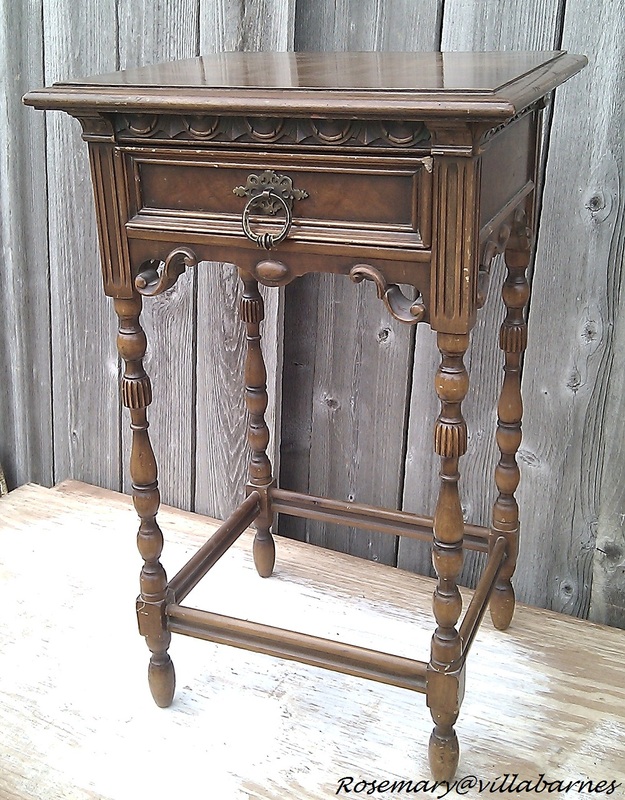 And your new finds are so great - I love the little table with all the details. 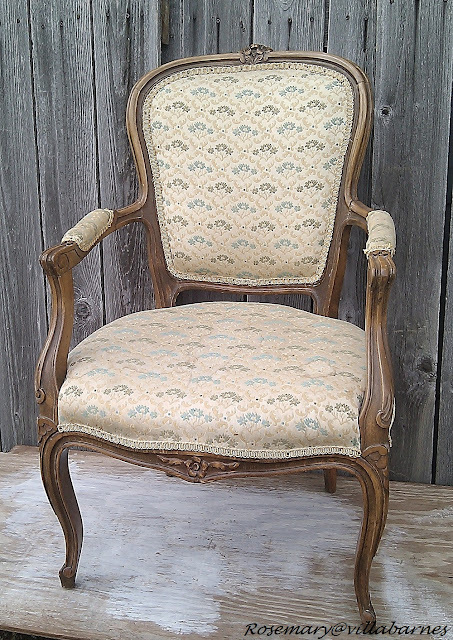 About your chair - have you seen Lynn's chair over at Shabby Story? This might just be the thing! The chair is amazing. I can't wait to see what you do with the other pieces. It is wonderful and that last chair is too. Gorgeous. 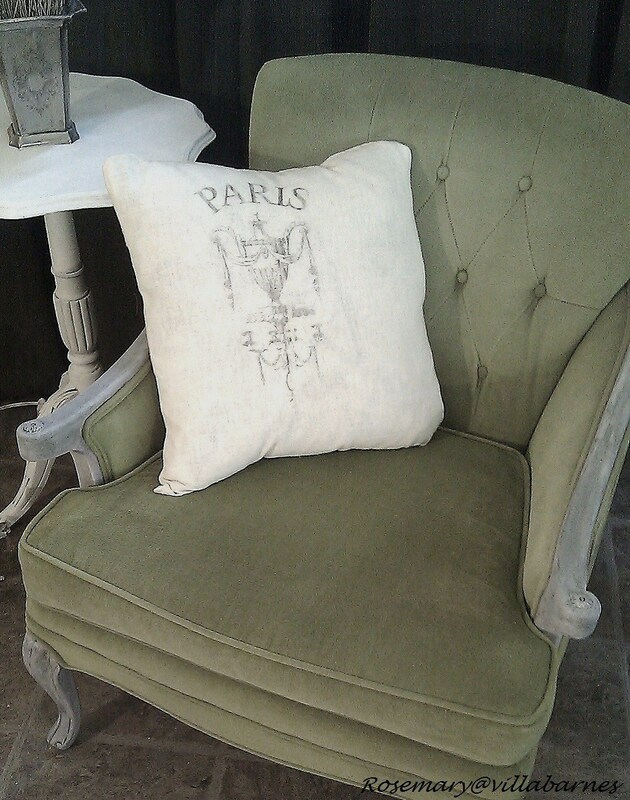 Love this chair and the pillow. Beautiful. Love the chair. Your Paris theme is coming along great. 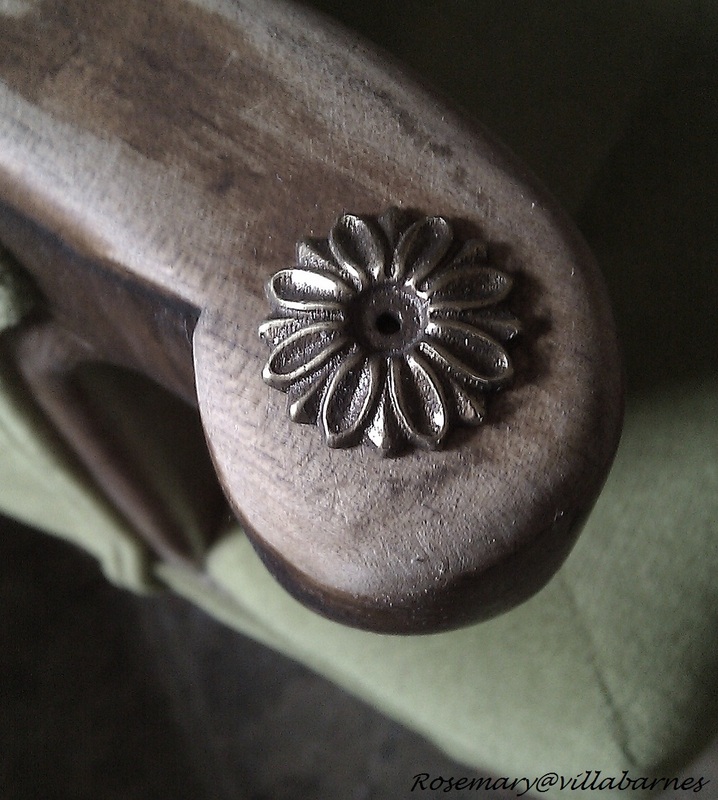 Once again your creative touch did wonders for this pretty chair with great bones. Very nice! The chair looks great! I love the little embellishment you added. Love how you transform everything! 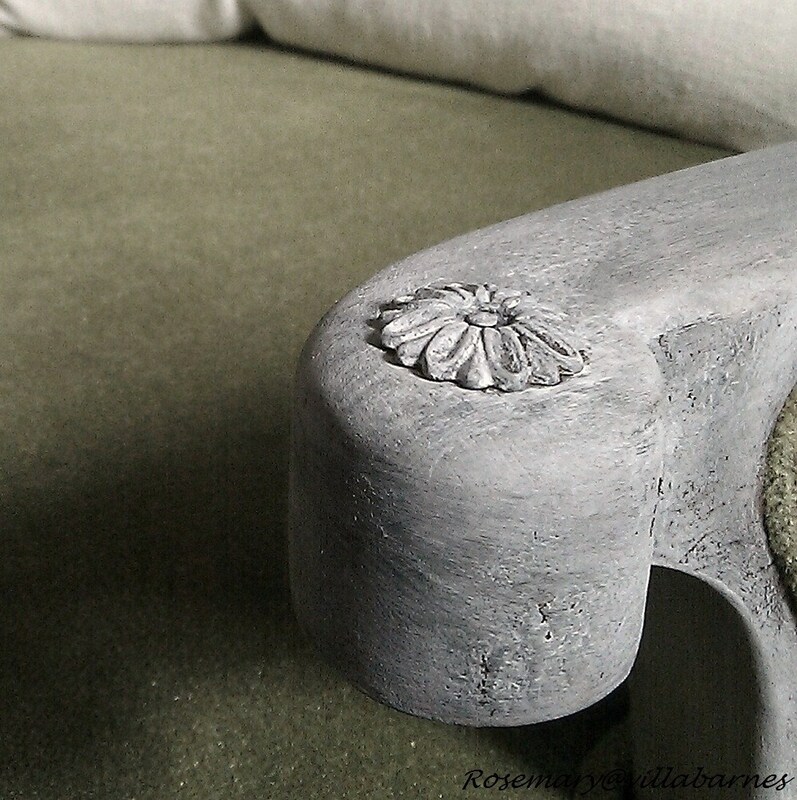 Hi Rosemary, amazing how such a small embellishment on the arm did so much for your chair. Love the redo. The pillow is sweet. I really need to try this blender method. I envy you those gorgeous chairs! I'm going to keep looking for some of those for me! Beautiful work! I love the changes you made to the chair and the pillow is fabulous! I can't wait to see what you do with your new finds. I'm a new reader/subscriber and I'm glad I found your blog! Beautiful, Rosemary! It looks like a $$$$$ chair from Restoration Hardware. Love it! I can't wait to see what you have in mind for the other pieces. And you're so creative - love the detail you added to the chair too! Thanks so much for sharing your beautiful work! ;) Have a great week! The chair makeover looks fabulous. 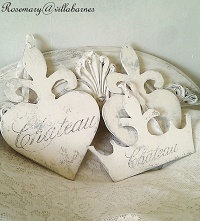 I love your new finds!! The two tables are to die for. 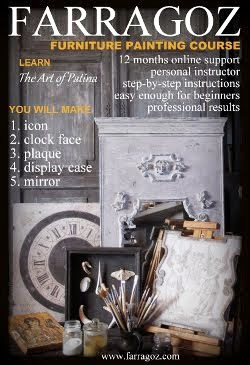 I'm sure you will find something stunning to do with them. The chair update looks great, Rosemary. I'm sure your new finds will be receiving wonderful facelifts. You are so inspiring! Love the restyled chair! 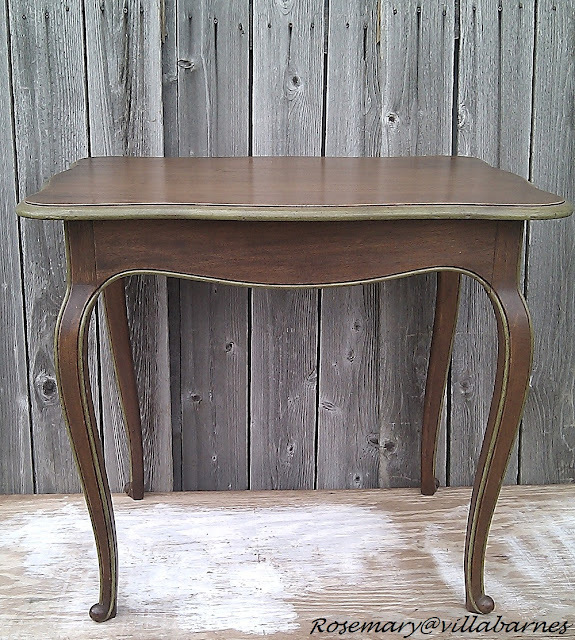 Anxious to see what you do with the thrifty finds! Friended you again on LINKY! Don't want to lose the friendship! Drop by for a visit! The chair looks great! Love the paint on it. Thank you for joining me for Home Sweet Home!